Correct Craft Caution decal Sold individually as seen on 1978 Correct Craft Southwind 20 Boats. Printed Over White vinyl with silver metallic Inks. 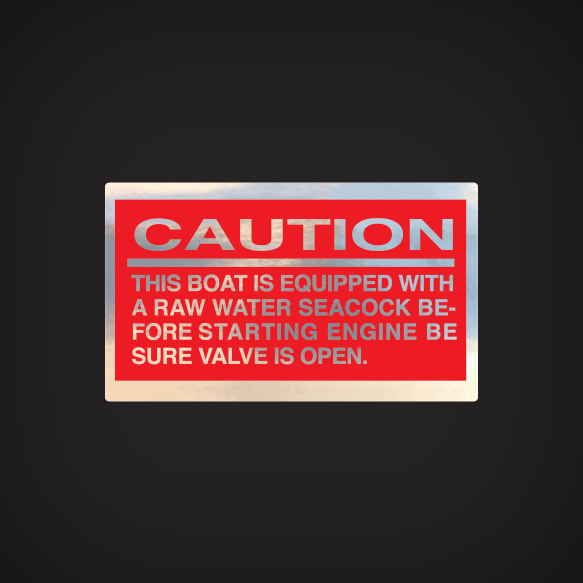 THIS BOAT IS EQUIPPED WITH A RAW WATER SEACOCK BEFORE STARTING ENGINE BE SURE VALVE IS OPEN.